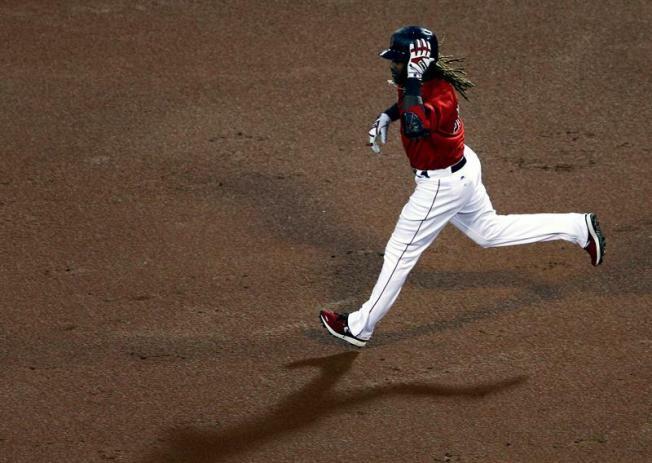 Hanley Ramirez finally ended another long night for the Boston Red Sox, and his teammates found just enough energy to celebrate his walk-off shot. "This was a gritty win and a very important win," Boston manager John Farrell said. "There's a lot of toll and it's not just the number of innings pitched. It's the hours on the feet by every guy that's manning his position," Farrell said. "They've done an outstanding job to go through this stretch of four days we've just come through." "It's fun to be part of games like that. Extra innings isn't the fun part, but the way the game played out where both teams could have scored and both teams had their chances, that made the game fun," said Mookie Betts, who hit an RBI single with two outs in the 11th to keep the game going. "It's better that we got the W. It's worth it," Ramirez said. "We came from behind a couple of times. That's a good win." "Tough one to lose, but they battled," Toronto manager John Gibbons said. "We had a couple of opportunities. We couldn't capitalize, especially early in the game."